This online colloquium has been established to discuss David Boucher’s recent book, Appropriating Hobbes: Legacies in Political, Legal, and International Thought. We began with an introduction to the text by Professor Boucher, followed by responses from Howard Williams, Eleanor Curran, and David Dyzenhaus. We finish this week with a reply by David Boucher. Many thanks to Oxford University Press for supporting this colloquium. I am honoured and extremely grateful that three such distinguished scholars have taken the time to consider my arguments and selectively respond to different aspects of Appropriating Hobbes. I began my career examining and criticising the ‘Cambridge School’ of intellectual history, concluding that methodological pluralism enabled us to draw-out different aspects of a thinker’s arguments, enabling us to evaluate them against the various criteria that have emerged to shape our different academic disciplines. I had hoped to escape the necessity of returning to methodological justifications, but selectively examining how Hobbes has been received and manipulated in different contexts necessitated a justificatory framework to hold the whole project together, which two of my critics use to hoist me by my own petard. The principal claim that there is no Hobbes independent of our interpretations of him, is I admit contentious, but at least to me it seems obvious. David Dyzenhaus is the most disappointed that I do not by-pass Hobbes’s interpreters and spend more time attending to Hobbes’s actual arguments. He then seems unwittingly to confirm my contention by using Oakeshott and Kelson as interpreters of Hobbes who are said to help us a good deal to understand the complexity of Hobbes’s theory of law, which funnily enough looks very like their own theories of law. There is a certain irony in directing me to Oakeshott in that he too was accused of ignoring what Hobbes actually said. Howard Williams appears sympathetic to my claim that each generation, each discipline, reinterprets Hobbes anew, each having to do their own thinking for themselves. He begins, however, by telling us what Hobbes’s authentic argument is, presumably independent of interpretation. Eleanor Curran, too, expresses sympathy with my project, but is disappointed, if that is not too strong a word, with my apparent inability to remain faithful to my methodological precepts. Just like Schmitt detected a fatal flaw in Hobbes through which the light of liberty shone, Curran detects in me the flaw of intruding some of my own opinions into the debates, particularly in responding to Schmitt. Let me respond, as best I can to some of their criticisms. Dyzenhaus makes some telling and substantive points. First, why didn’t I use Oakeshott as an interpreter of Hobbes’s theory of law. I did consider reintroducing him again into the chapter on legal positivism, but on balance decided that the book was in danger of becoming more about Oakeshott than Hobbes, having invoked him as a protagonist in the ideology versus philosophy debate, and in the individualist versus collectivist debate. I also resisted the temptation to include him in the Hobbes among the idealists’ debate, about which Williams writes in this symposium. Secondly, I should have given much more emphasis to the content of the laws of nature. The difficulty in writing a book that comes at Hobbes from so many different angles is that the same material can easily be repeated over and over to the annoyance of the reader. Hobbes’s use of the laws of nature is drawn upon extensively throughout the book, one of the most important uses he makes of the idea, which is recognised by the classic international jurists, is its complete identification with the law of nations, an aspect of Hobbes that the legal positivists tend to ignore. Thirdly, my claim that law is made by the sovereign and not by judges and lawyers, is taken to be an overstatement that ignores the fact that, as Kelson tells us (alluding to Hobbes), sovereignty is institutionally complex, and subordinate judges themselves participate in sovereignty by interpreting enacted law through their understanding of the laws of nature. 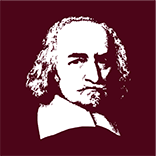 I do not wish to deny the complexity of sovereignty in Hobbes as his interpreters see it, but I would want to insist that whatever the process by which laws, and especially the common law, acquires legitimacy, the authority that confirms their legitimacy, if even by the silence of the Leviathan, derives by whatever circuitous route, from ‘the’ Sovereign. I have left Dyzenhaus’s most telling point until last. He appears to think that I believe Hobbes is a blank screen upon which we project ourselves, and if this claim were true engaging with Hobbes, or with the many debates that invoke him, would be a surreptitious form of intellectual narcissism, ‘because we would be no less projecting our prejudices onto these appropriators of Hobbes than we would onto Hobbes himself’. When I said there was no ‘it’ independent of interpretation (echoing Oakeshott and other Idealists), I simply meant that it is meaningless to try to separate them, they are mutually dependent, and this is what I take Gadamer and Ricoeur to be saying, and why I use them in justification. Interpretation is not a direct engagement with the text. There is a tradition of interpretation which frames our initial responses (prejudices), but which by means of the hermeneutic circle (Gadamer), or arc (Ricoeur), are modified within the constraints of our own horizons, and those projected by the text. The text doesn’t have an independent existence, despite what Kant says about the much ridiculed idea of ‘things in themselves’, and even he conceded that although they have an independent existence we cannot know them independently of the a priori categories that structure our thought. Curran is puzzled by the status of a particular intervention I make regarding Schmitt’s regret that Hobbes allowed the subjects of Leviathan freedom of conscience, which ultimately opened the way to the corrosive influence of liberalism on modern European politics. I suggested that Schmitt could have made a much stronger case by focusing on Hobbes’s argument for the retention of the natural right to self-preservation which allowed for the individual to flee justice if it threatened his or her life. I mentioned that Jean Hampton also emphasised this point. Curran suggests that I appear to be pronouncing on what Hobbes actually meant which undermines the status of my methodological claims to see Hobbes through the eyes of his appropriators. Leo Strauss was a contemporary of Schmitt and indeed, as I pointed out in the text, accused Schmitt of missing this more glaring element of liberalism in Hobbes’s text. My remark has to be seen in the context of the hermeneutic tradition of interpretation, and the criticism of Schmitt emanating from Strauss in the context in which Schmitt read Hobbes. This, however, does not wholly absolve me of the charge, and if the book had been primarily about methodology I would have argued, following Charles Taylor, that the interpreter cannot wholly suspend judgment, or belief, when an author says something that appears ludicrous by our own standards. Indeed, identifying it as ludicrous is to apply those standards. There are other ways in which the interpreter cannot wholly stay above the fray. Again, following Taylor, but more so Hayden White, and tangentially J. H. Hexter, my choice of words, tempo of the narrative, and particularly the literary ‘trope’, influences how the reader understands, or perceives the incidents portrayed. Therefore, the way in which I have subconsciously portrayed Schmitt as something of a tragicomic figure, a modern king Cnut the Great, ordering the tide of liberalism to abate, is bound to influence a reader’s impression of him, especially if he or she is unfamiliar with his work. Williams seems to ‘get’ what I was trying to do and appreciates its importance and partial novelty. Or, perhaps I was able to get my point across better in the chapter on Idealism, with which he is primarily concerned. What he particularly likes is the demonstration of the way the works of major philosophers develop over time, as they are read and re-read in different contexts. The novelty of a philosophy may be experienced anew, and differently by each audience. This is something that Croce understood all too well, that is, the importance of the interpreter in passionately breathing new life into dead and petrified texts. The text must resonate for the person who, and the age which, reads it. Otherwise the account given is mere chronicle. Those familiar with my work on R. G. Collingwood will see the impression he has made on the way that I conceived this book, but it also demonstrates that there is no Collingwood independent of interpretation, and that my Collingwood in today’s context is very different from Quentin Skinner’s version of Collingwood. Skinner also claims to have been heavily influenced by him. David Boucher, Texts in Context: Revisionist Methods for Studying the History of Ideas (Dordrecht, Martinus Nijhoff, 1985). J. M. Brown accuses Oakeshott of ‘a singular lack of interest in what Hobbes actually said.’ ‘A Note on Professor Oakeshott’s Introduction to the Leviathan’, Political Studies, 1 (1953), 55. Furthermore, the individual’s retention of the natural right to self-preservation ‘sets the path to the whole system of human rights in the sense of liberalism. . .’ Leo Strauss, ‘Notes on the Concept of the Political’ in Heinrich Meier, Carl Schmitt and Leo Strauss: the hidden dialogue (Chicago: Chicago University Press, 2006), 101. Bernard Bosanquet, The Philosophical Theory of the State (London, Macmillan, 1899), 93.